Many things we throw away as junk are collected by some people as antiques. Barry Weiss is one of those people who has made living out of collecting those antiques. For the world, antique collection could only be a hobby, but for Barry, it is his a passion. 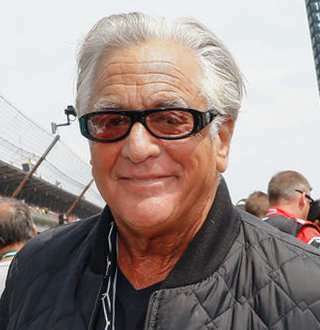 American reality television star Barry Weiss is a professional storage-treasure hunter who is best known for his appearance in A&E hit series, Storage Wars. He performed as one of the main buyers in the show’s first four seasons. Barry obtained most of his fame as a storage hunter, but he is also famous in the business world for entirely another venture; Wholesale Industry. Barry Weiss, also known as The Collector, is one of the prominent personalities on American hit reality television series Storage Wars. Barry has been an Antique collector since the age of 15 and that passion continues to this day. Barry appeared in The Storage War’s first four seasons from 2010 as a buyer. Storage Wars executive producer and narrator Thom Beers suggested him to join the show. After leaving the original show Barry appeared in his spin-off series, Barry'd Treasure in 2014 which only lasted for eight episodes before being canceled. In 2015, Barry again starred in new spinoff, titled Storage Wars: Barry Strikes Back, which bombed as well. Consequently, fans didn't see him again until very recently. In 2017, Barry came out of his cocoon for an interview with a TMZ. In the interview, he said that he had got back to his old job of ‘professional slacker.’ He has expressed his interest in doing a motorsport show where he could travel the world. Before becoming a reality star, Barry was a businessman in the wholesale fruits and vegetables produce market for more than 25 years. Barry made his fortune along with his brother Joey Weiss selling products all over the United States. Professional storage-treasure hunter Barry is estimated to have over 10 million dollars net worth, most of which he accumulated from his business ventures as well as form reality television series Storage Wars. Barry appeared as one of the main buyers in the show’s first four seasons and reportedly earned over $10,000 per episode of the show. One of Barry’s most Valuable assets is his house in Los Angeles. He also has a huge collection of vintage cars, trucks, and bikes worth $500,000. The Storage War’s artist Barry Weiss is a larger-than-life personality with a story for every situation in his professional life. But when it comes to his personal life, he prefers to keep things private. However, it’s known that he had been married and had a wife. He has not disclosed any details regarding who his wife was and what happened to their relationship. Barry, who has been an antique collector his whole life, has two adult children, a son named Jack and a daughter named Julie. He is also a grandfather of a grandson named Oliver. Furthermore, Barry is godfather to one renowned godson, a big reality star Jesse James. Barry is an adventurer in the true sense. With his passion in the antique collection and now motorsports, it seems like Barry wants to live the life to its fullest, doing things he wants to do, on the terms he sets. Damn the world if it doesn't conform to his ideas, and if his anyone close to him becomes a part of that controlling world, damn them too. He is better alone. 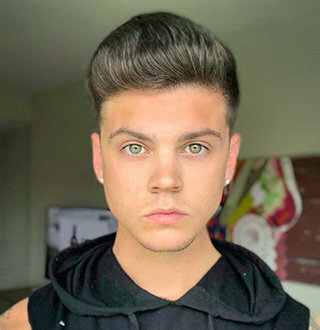 Tyler Baltierra & Catelynn Baltierra Split & Living Separate! Cheating Scandal?